04/13/18 — Sharon Lynne Goldstein has been found safe, and has been reunited with her family. We would like to thank everyone who helped in this search. 04/12/18 — The active search for 54 year-old Sharon Lynne Goldstein will resume on Friday – April 13th 2018 at 9:00 a.m. The search staging area will be at the Clear Lake Sports & Recreation Complex, located at 16511 Diana Ln. in Clear Lake, Texas 77062. We are in need of searchers on foot and ATVs. Please dress appropriately for the forecasted weather conditions, and some thick, brushy terrain. Please bring your own water and snacks. Your Search Coordinator is Frank Black, and he can be reached at (713) 301-6813. 04/12/18 — The Harris County Constable Precinct 8’s Office has requested our help in locating 54-year old Sharon Lynne Goldstein. The active search for Ms. Goldstein will begin today, April 12, 2018 at 12:00 p.m. The Command Center will be at the office of Harris County Constable Precinct 8, 16602 Diana Lane, Houston, TX 77062. We will be in need of searchers on foot and ATVs. Bring your own snacks and water if possible. Your Search Coordinator is Frank Black, and he can be reached at (713) 301-6813. 04/12/18 — Sharon Lynne Goldstein, age 54, was last seen on April 10, 2018 in Clear Lake, TX, in the 1300 block of Ramada Drive. 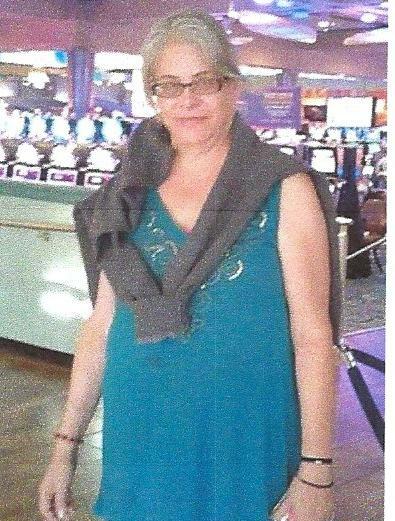 Ms. Goldstein was last seen wearing black pants and an unknown color of blouse. If you have seen Sharon Lynne Goldstein, or have any information of her whereabouts, please call the Harris County Constable Precinct 8 Office at (281) 488-4040 or Texas EquuSearch at (281) 309-9500.